LED lighting is an ideal choice for any motorcycle. For one thing, you want the most efficient lighting option available in terms of light output per Watt. Modern LED lights provide just that and their efficiency continues to improve every year. 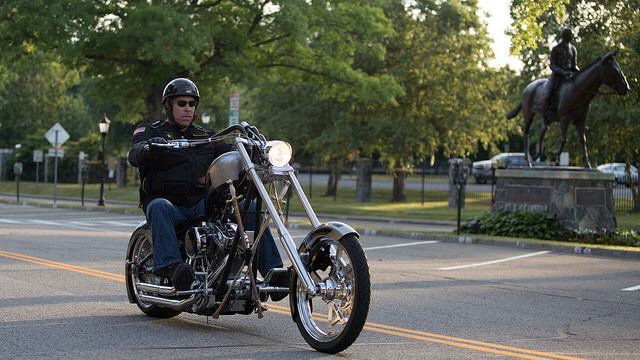 The lights on motorcycles are subjected to greater vibration and weather exposure than those on cars as well. Again, LED light bars are the most appropriate choice due to their long life, the lack of filaments and high moisture and dust ingress ratings. 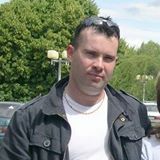 Motorcycles need all the help possible to improve their visibility to other drivers. 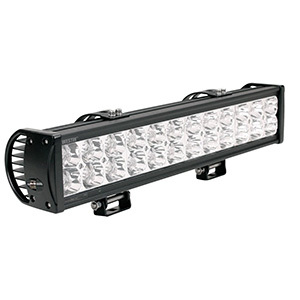 Since LED light bars are lightweight and sip power, more can be used without burdening the machine’s power system or battery. Furthermore, their broad choice of shapes, beam widths, colors and flash options significantly improve how well you are seen on the road. It is mind-boggling how many types, powers and configurations of LED light bars are available for your motorcycle. This is a direct result of LED technology versatility and efficiency. From standard lights to colored LED strip lighting, you will have no trouble creating an all-LED motorbike. If your bike has incandescent headlights, you can buy direct LED replacement lamps that do not require remounting or re-wiring anything. 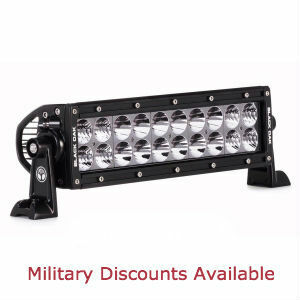 Up to an 18 inch light bar makes and excellent headlight or you could combine shorter lengths with different beam widths. They are available in spot, flood and combo beam patterns. The latter provide deep and narrow darkness penetration while simultaneously lighting the sides of the road. 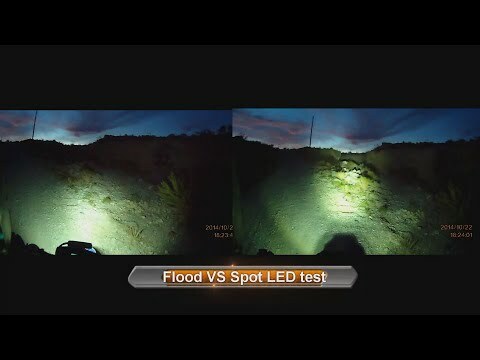 By the way you can check our motorcycle LED headlights comparison. Brake, turn, tail and running lights can be combined in a single LED light bar up to 18 inches wide or they can be purchased separately. The best LED light bars for motorcycles for signal use include flash patterns in addition to simple blinking, so your intentions are clear to other drivers. LED bullet lights are popular for their versatile mounting options and retro look. Using flexible arrays or strips, you can fully customize how your signal lights present themselves by wrapping them around fenders, the bike’s trunk, struts or frame. License plate lights, work lights and headlight supplementary lighting are the most common types of motorcycle auxiliary lights. Rotatable or removable lights can illuminate campsites, roadsides or the bike itself when making adjustments or repairs. Although accent lighting can certainly improve your bike’s visibility on the road, its main purpose is aesthetic. Placed around the frame and under the tank, it creates a stunning effect over any motorcycle. Kits are available to fit any kind of cruiser, which include all the wiring, strips and switches you need to make your machine stand out from the crowd. 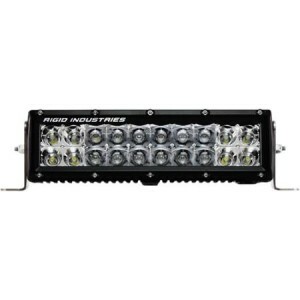 For critical lighting such as headlights, go with the best off-road light bar brands such as Baja Designs, Vision X, Rigid Industries, Lazer Star or Opt7. These use CREE LEDs, which are noted for their high brightness and long life. 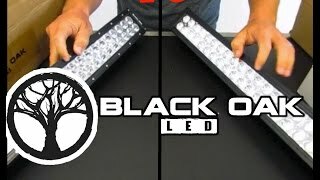 Other lights are less critical, so you can afford to use less expensive brands. You will have a wider choice of styles for auxiliary lighting. Be sure to carefully select a beam pattern that will work well under all road conditions. The Vision X XIL-R162 Reflex LED Bars 12″ Reflex LED Smart Light Bar may make the ultimate motorcycle LED headlight. 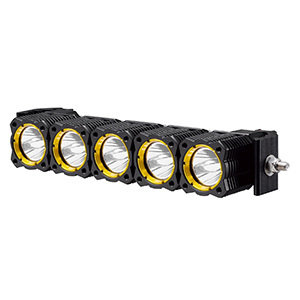 Its 35 degree beam is a perfect combination of spot and flood functions and each of its six 10W LEDs is capable of outputting as much light as a single car headlight. It is microprocessor addressable, which means when combined with a Vision X controller it is fully dimmable and programmable strobe or flash patterns area available. Like all Vision X products, it carries an IP68 rating against moisture and dust ingress. 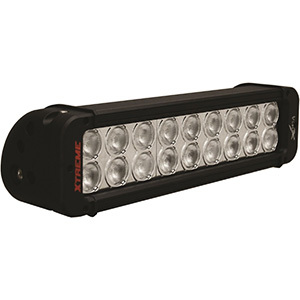 The best LED light bars for motorcycles are rugged, dependable and put out more light per Watt than any other type of light. Superior reflectors and lenses direct each LED’s output for the highest illumination and visibility. The versatility of LED lighting also lets you customize your bike’s look while improving its safety.